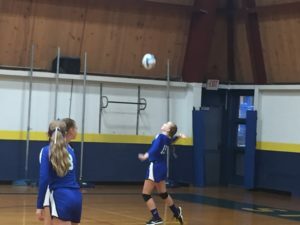 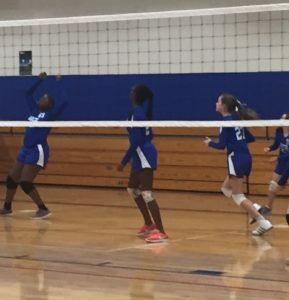 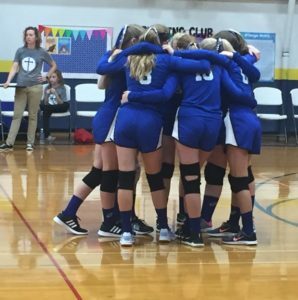 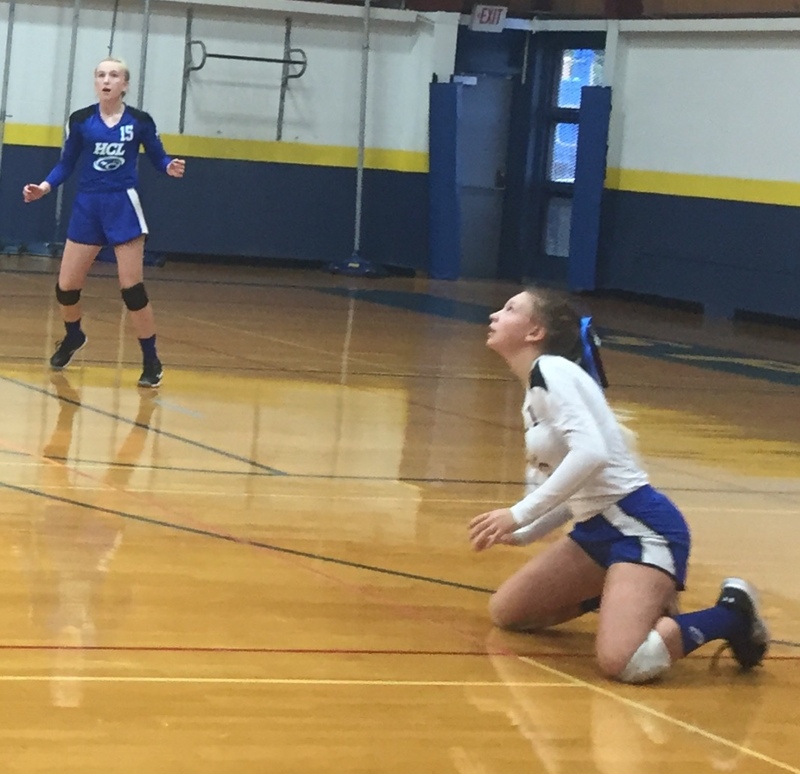 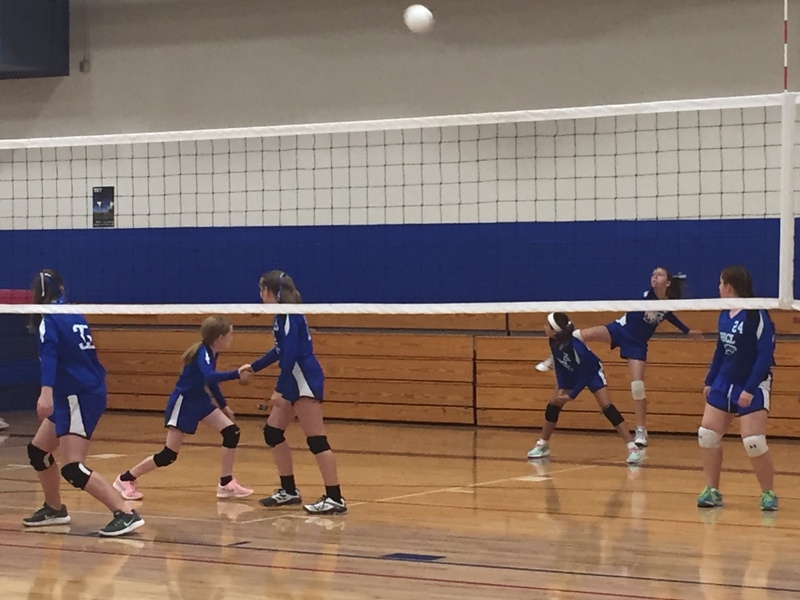 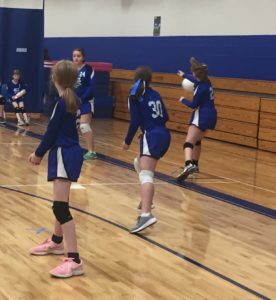 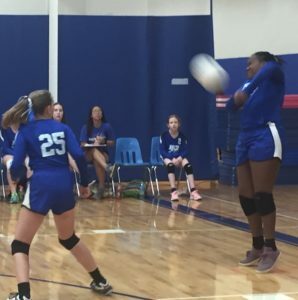 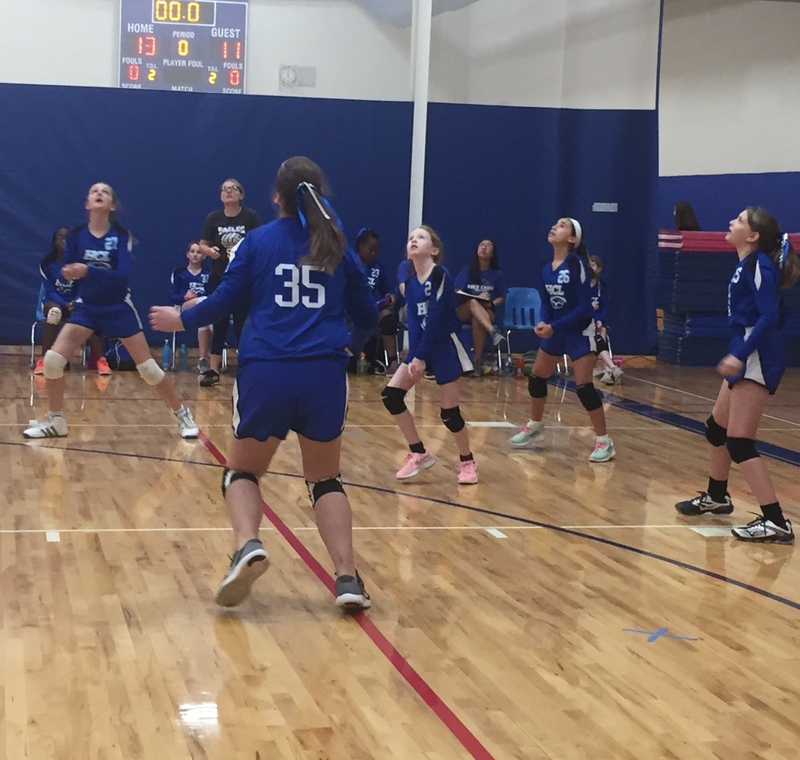 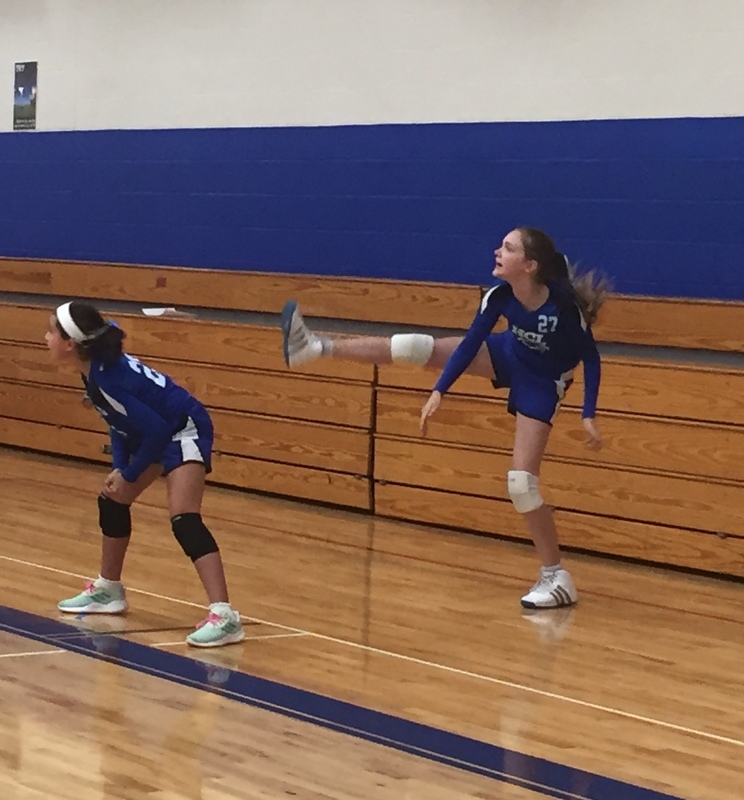 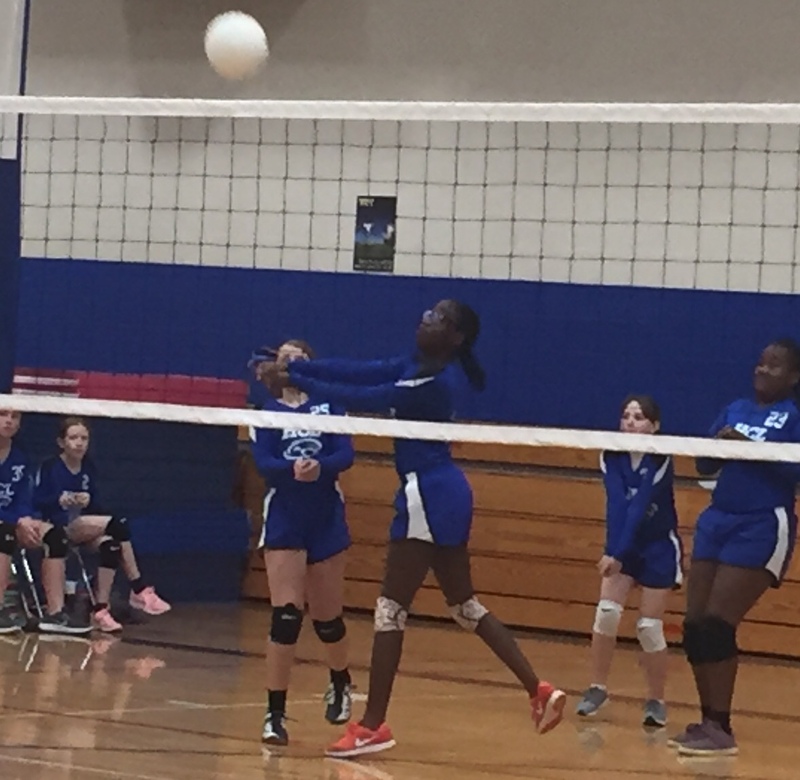 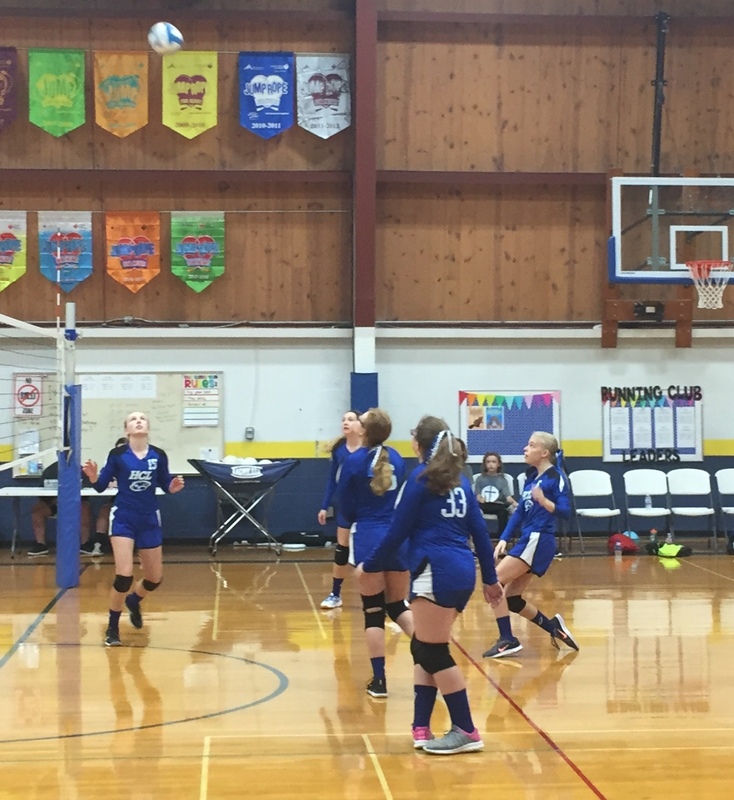 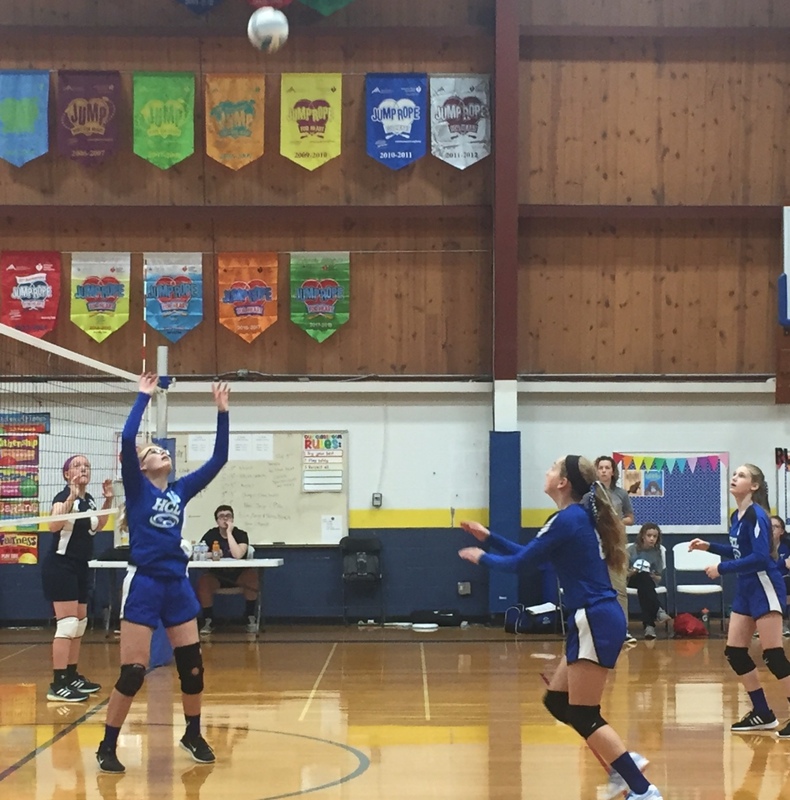 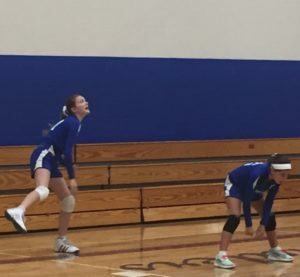 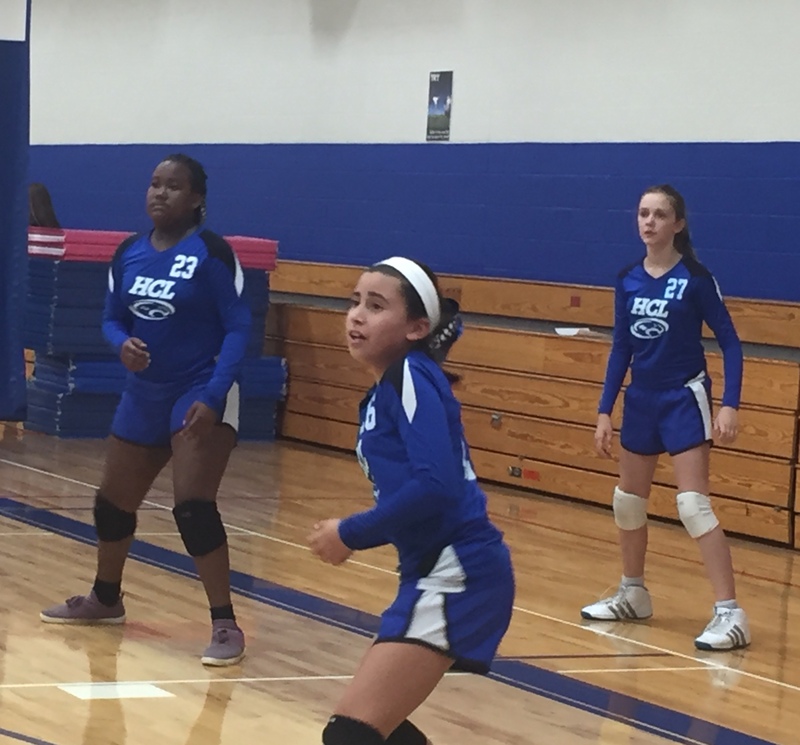 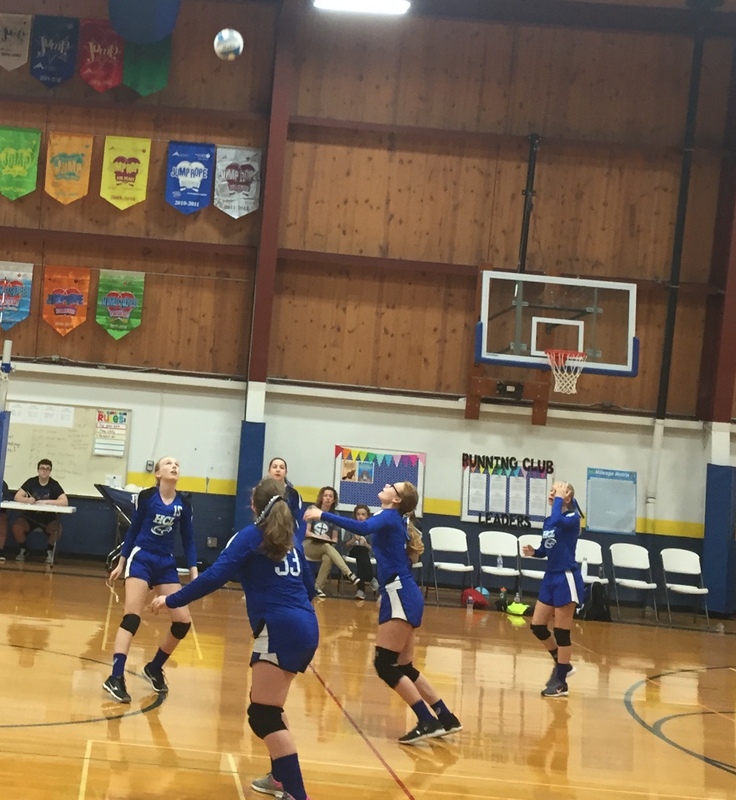 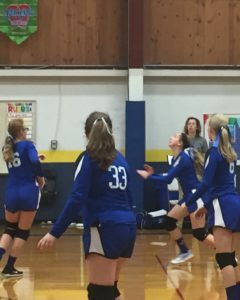 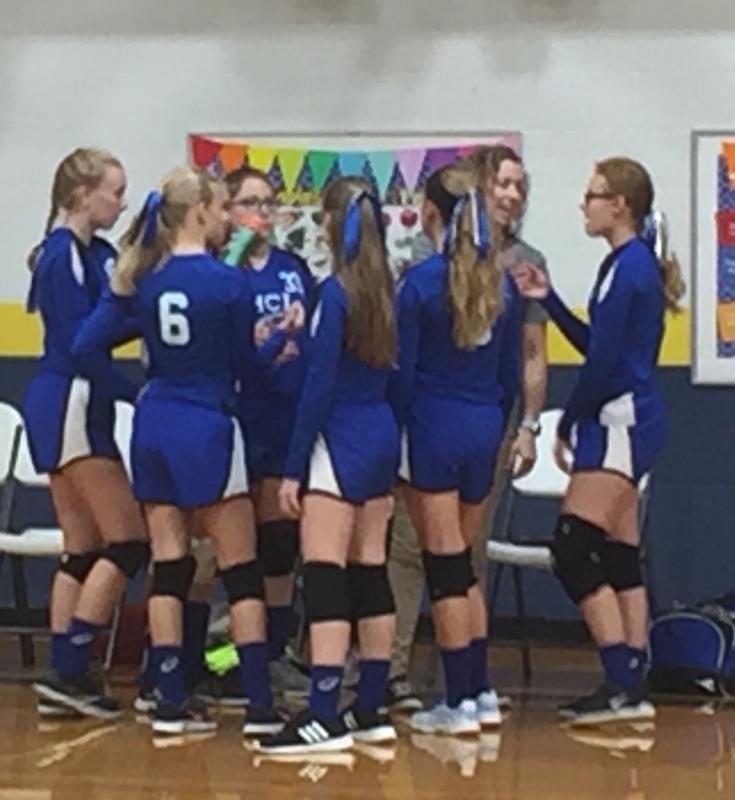 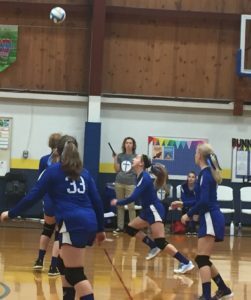 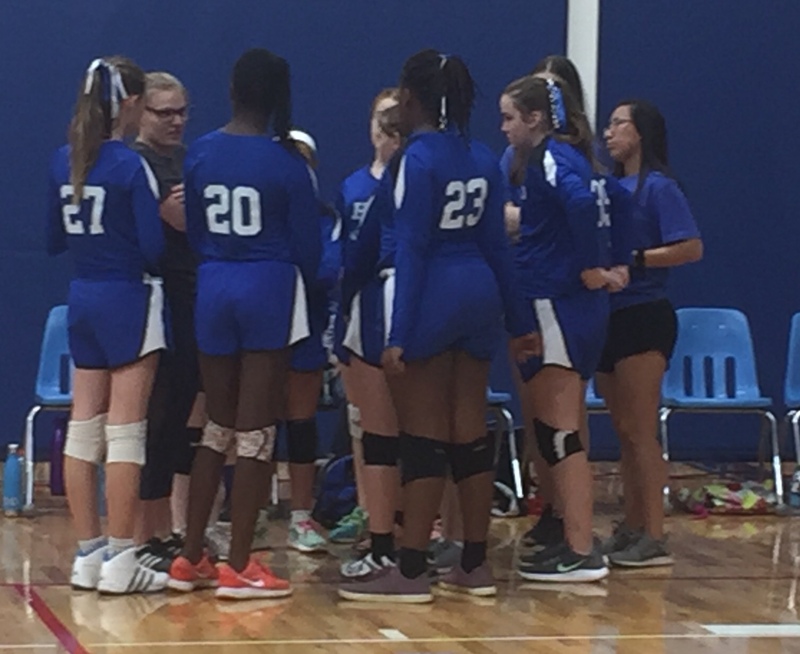 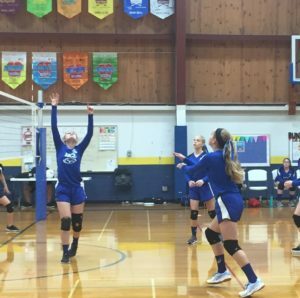 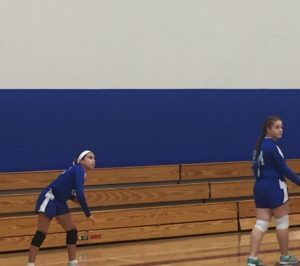 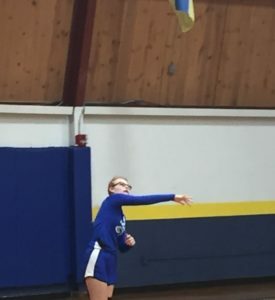 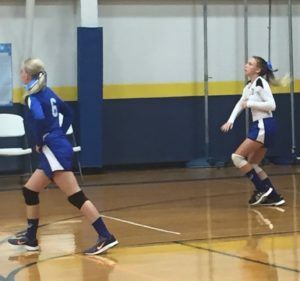 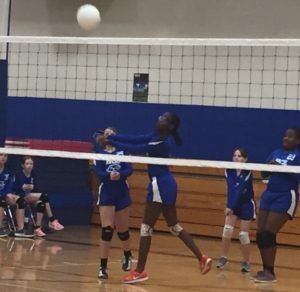 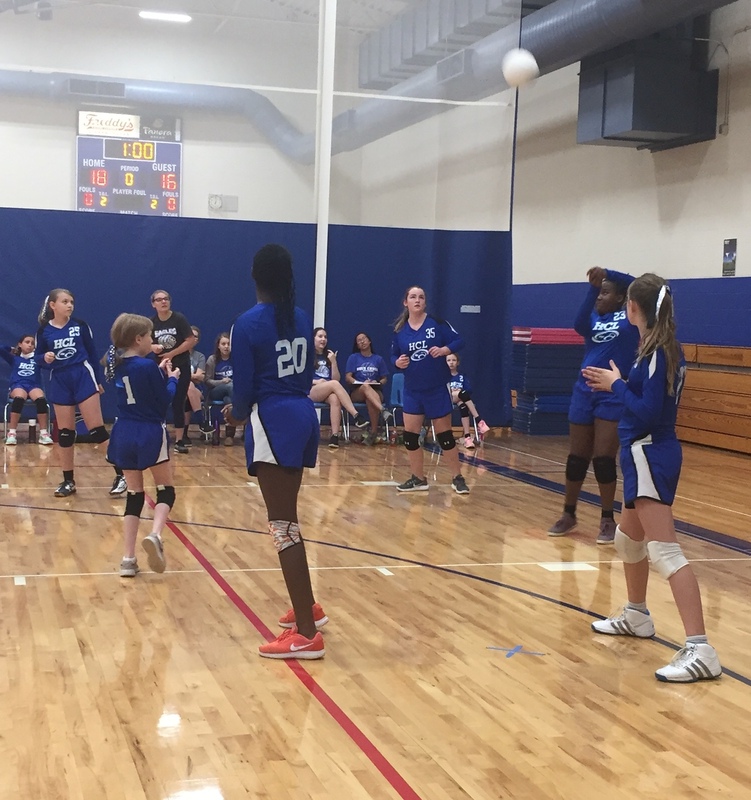 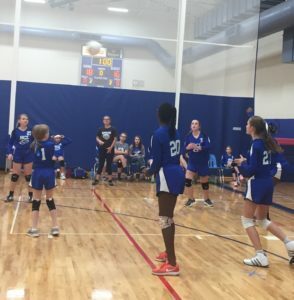 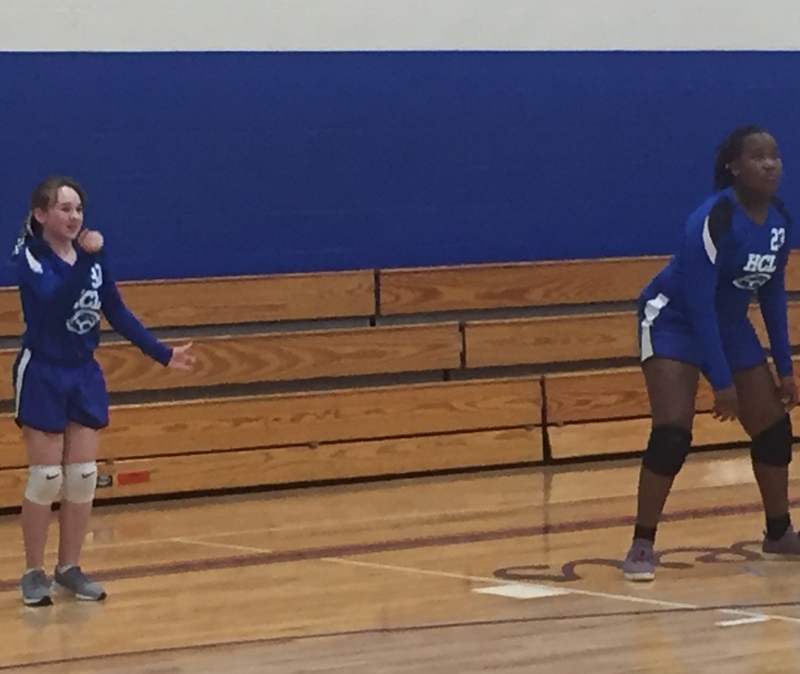 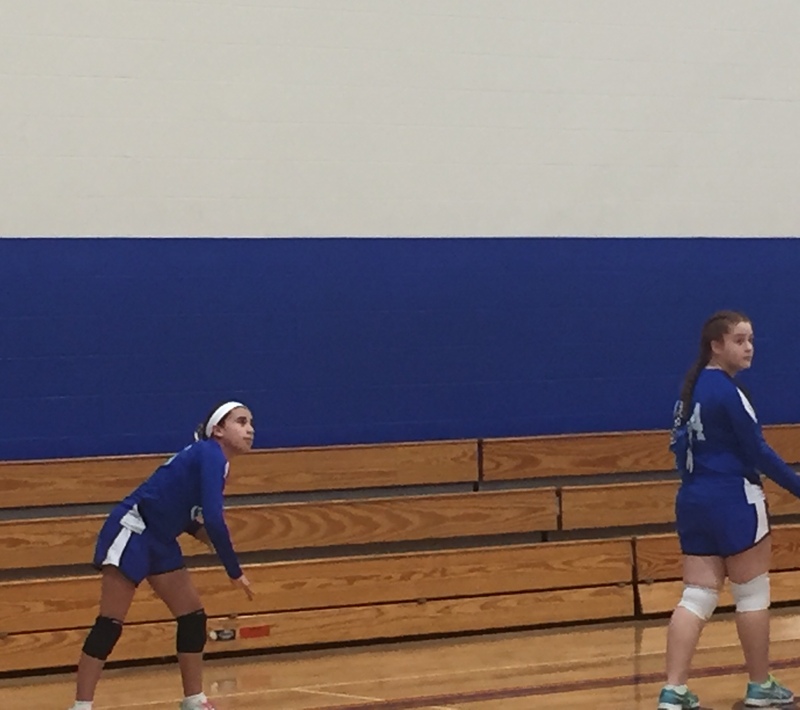 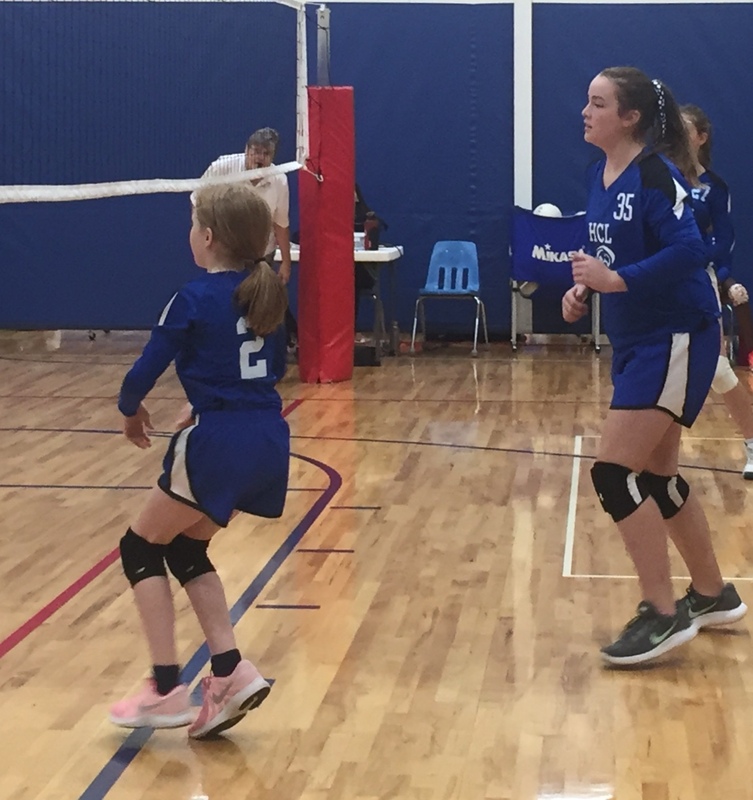 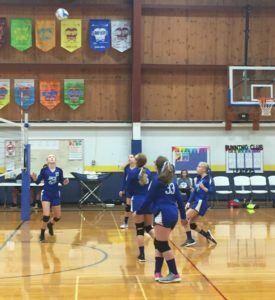 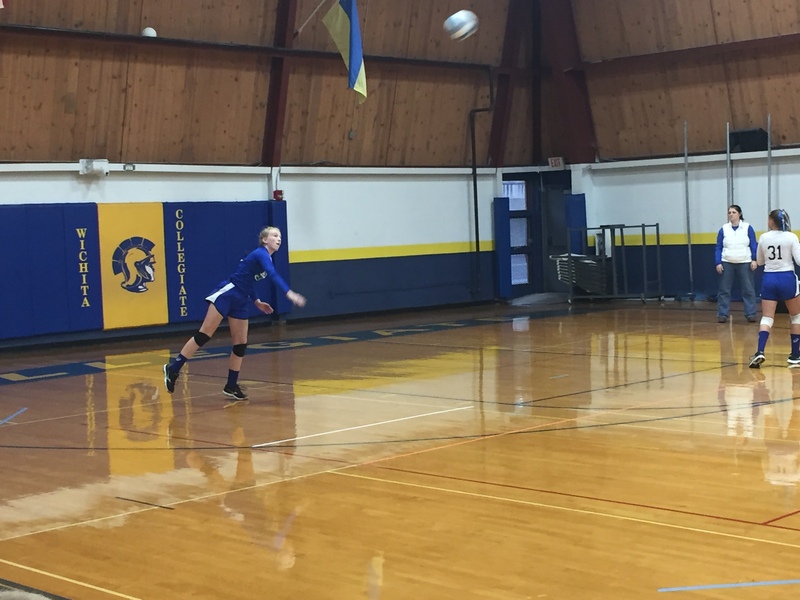 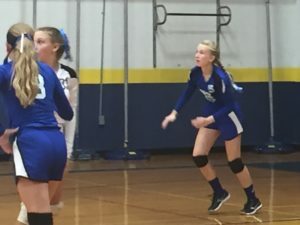 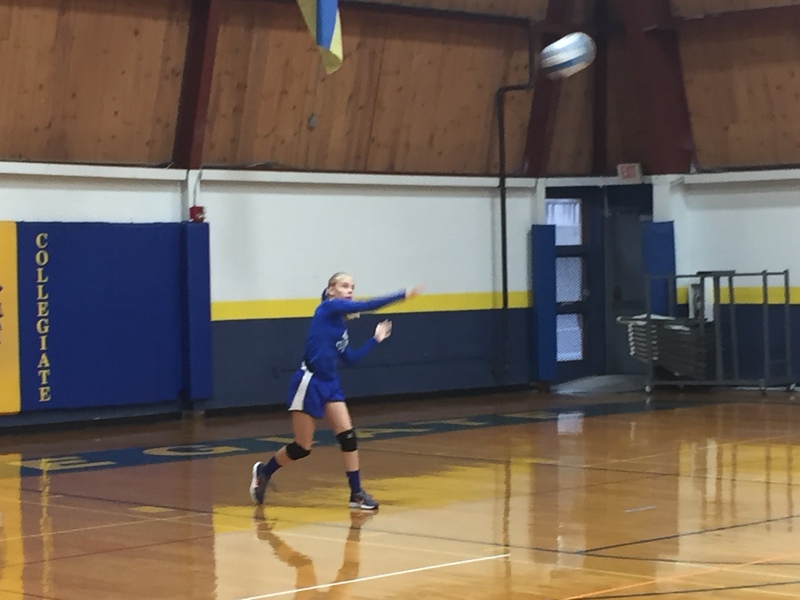 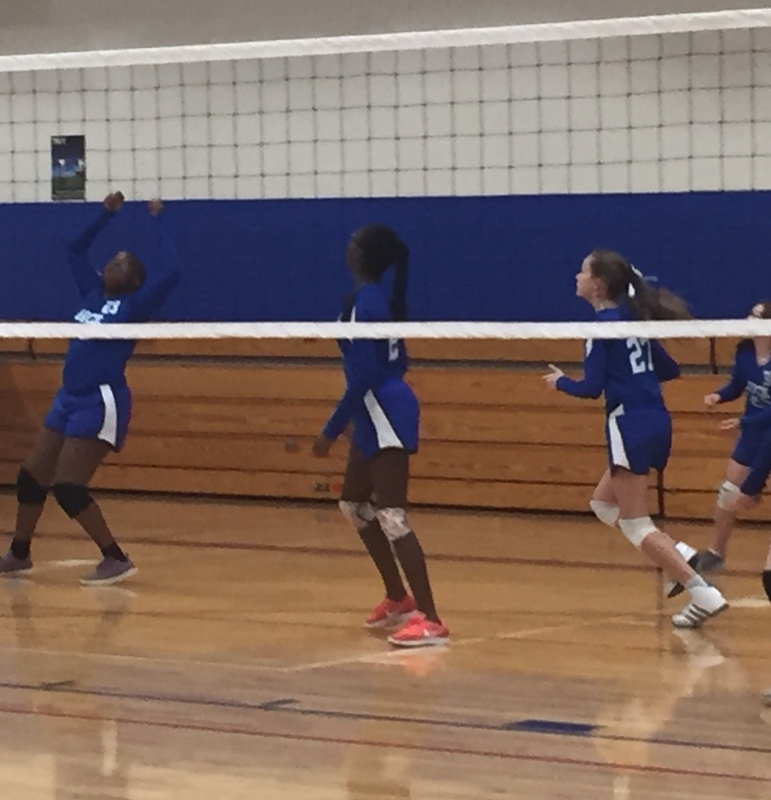 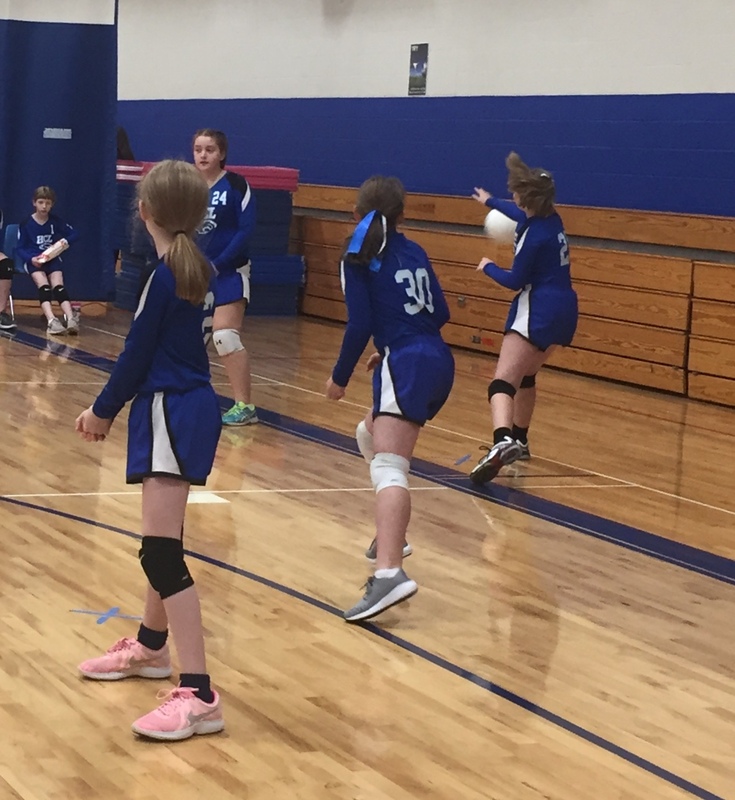 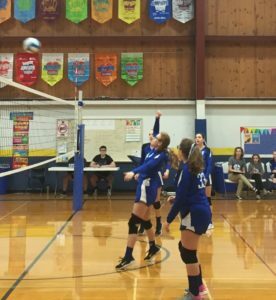 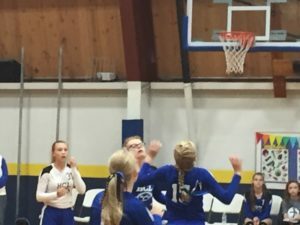 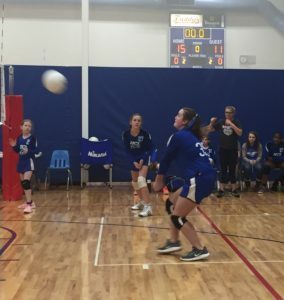 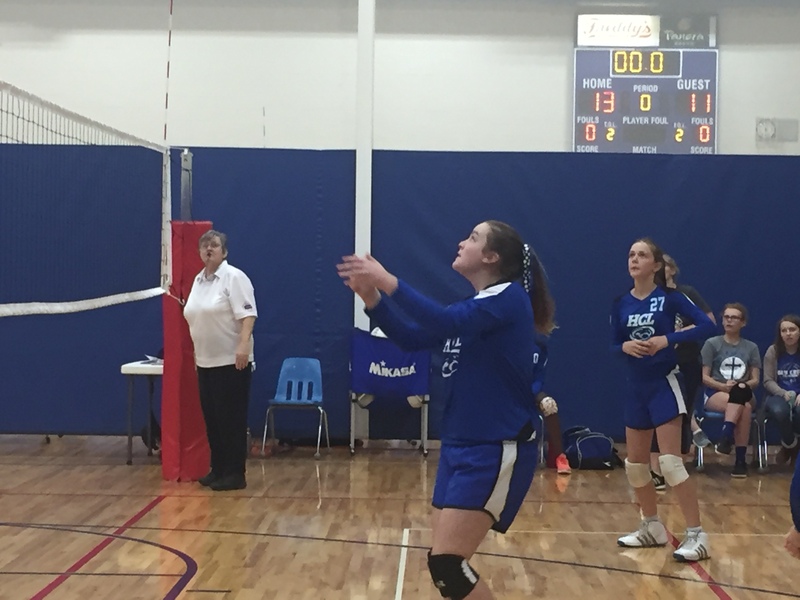 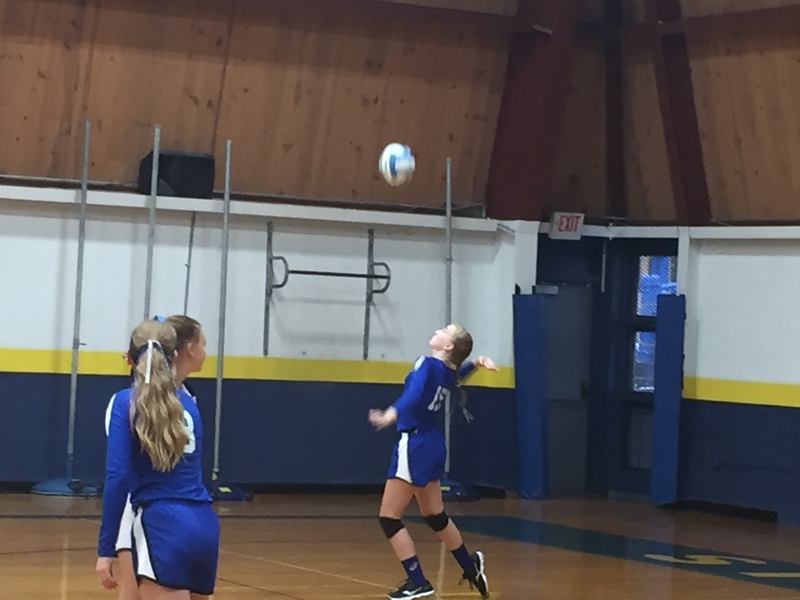 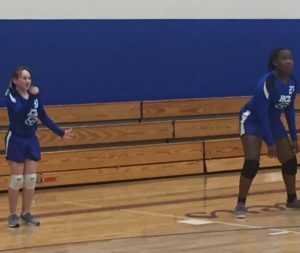 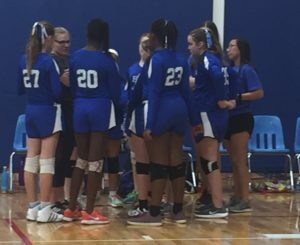 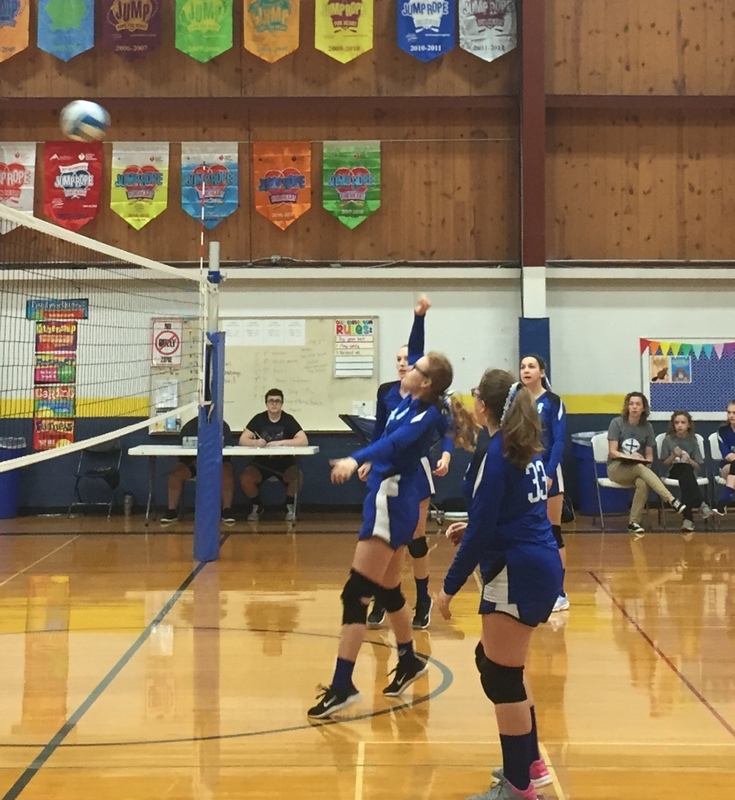 Both the 8th grade and 6-7 grade volleyball teams played well in their final regular season games. 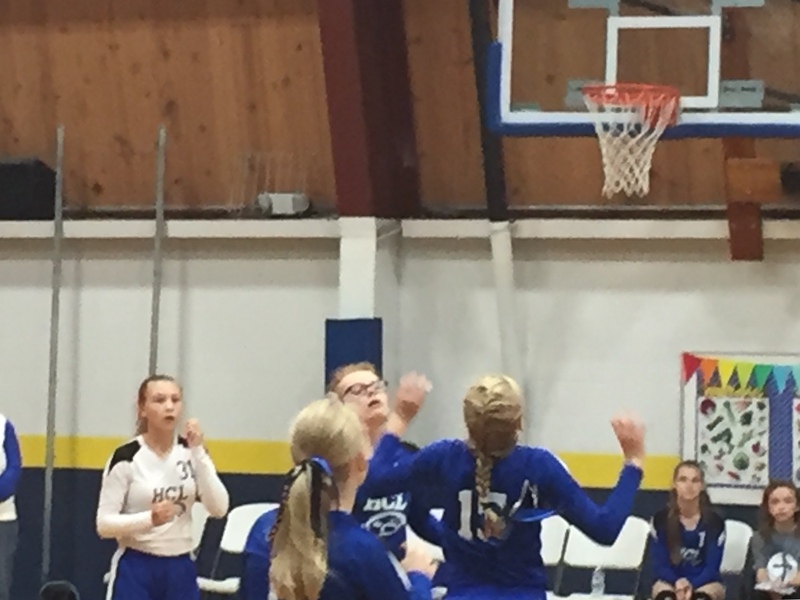 The eighth graders began the day with a two win over Holy Savior. 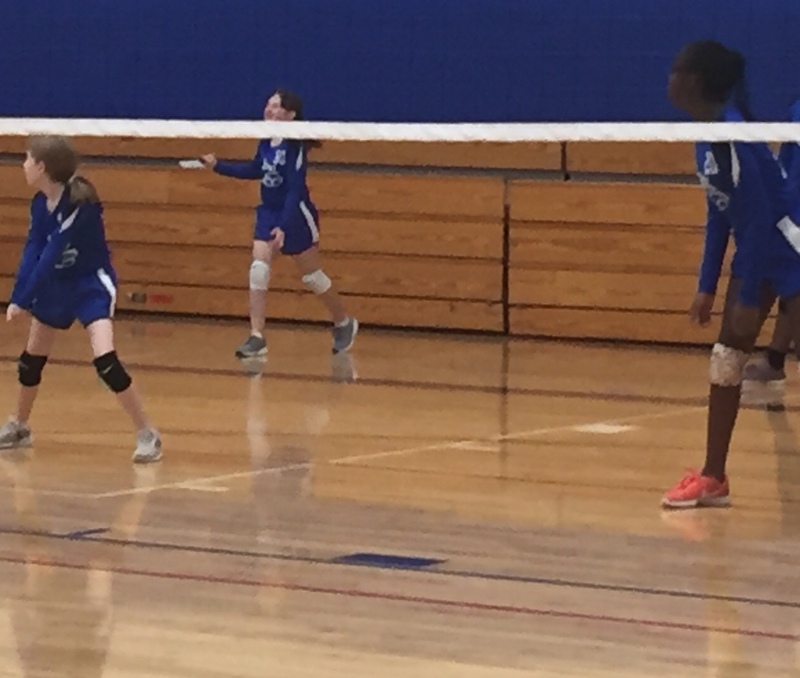 The girls started out a little slow but soon took control of the match. The win made their record 9-0 and set things up for a showdown with Magdalen. 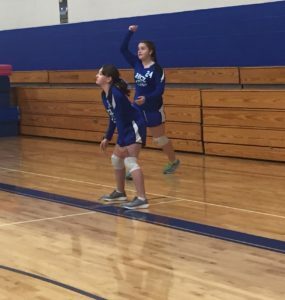 In that game the Eagles took an early lead in the first set but saw the Mustangs come back for the win. 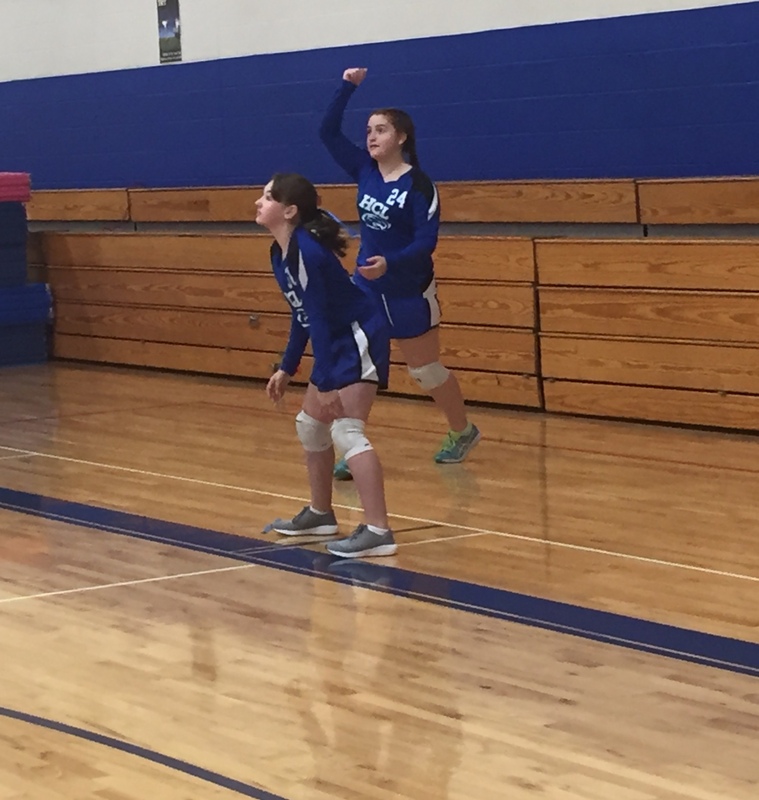 The second set was the reverse as the girls finished strong to tie the match at 1-1. 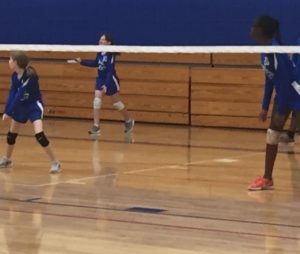 The third was a back and forth set but in the end the Eagles came up short 13-15 to suffer their first loss of the season. 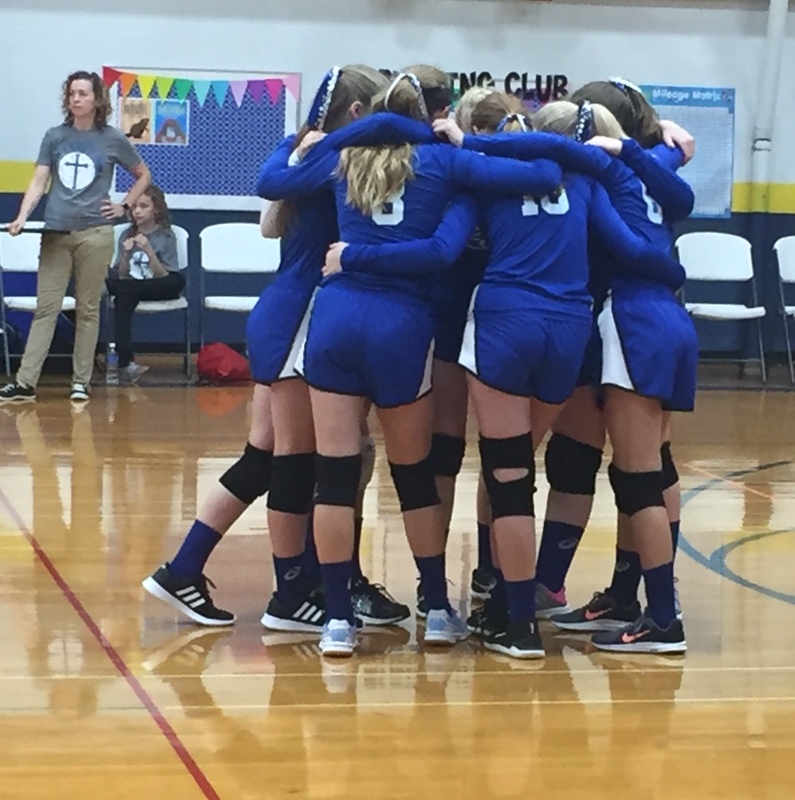 The 6-7 team had a close hard fought three set match with St. Mary Derby. 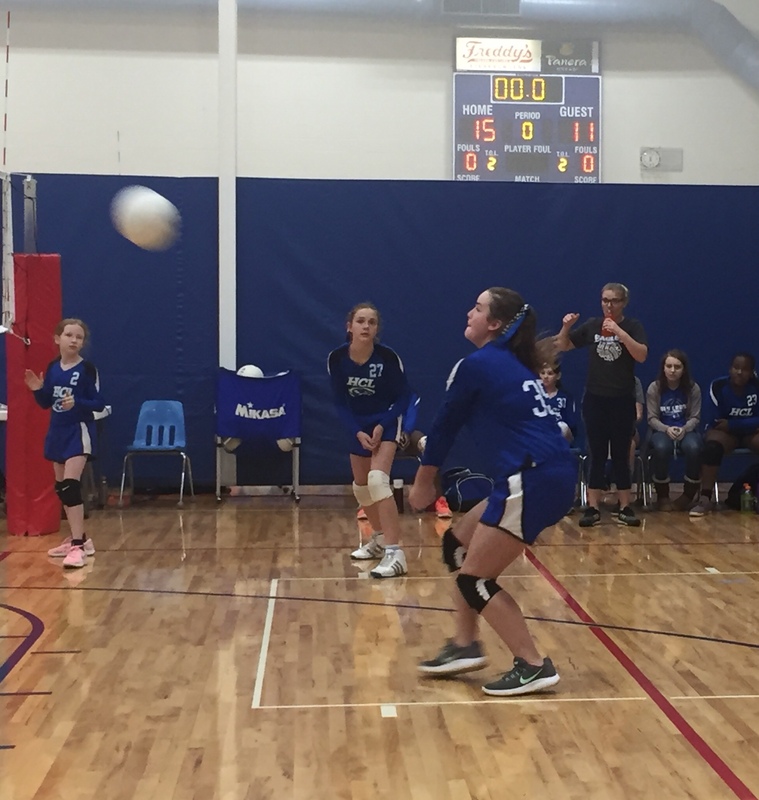 The Eagles jumped out to a quick lead only to have the Bobcats fight back to win the set. 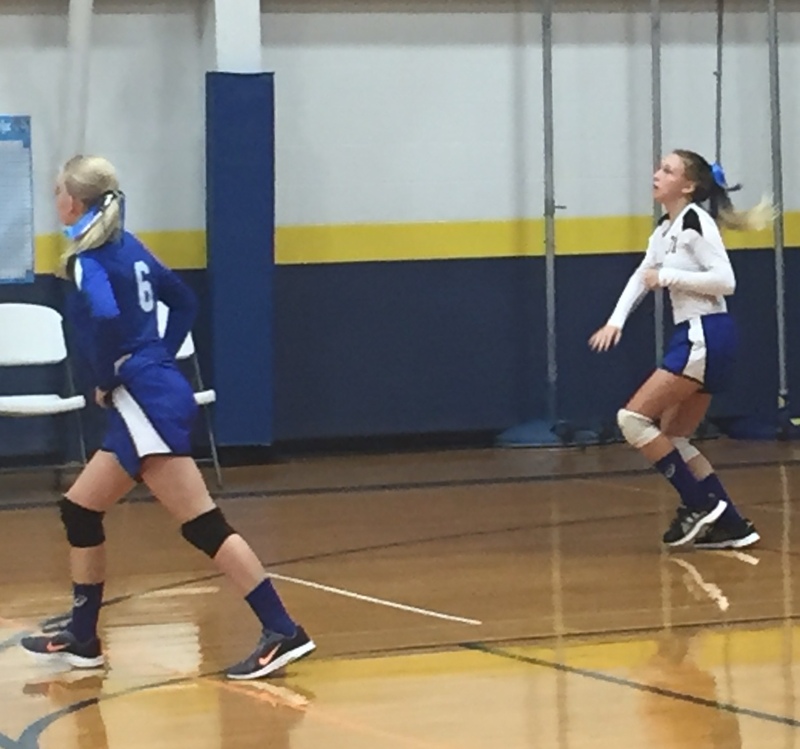 The Eagles fought hard and took control late to win the second set. The third set was close but the St. Mary was able to hold off a late rally by Holy Cross to win the match. 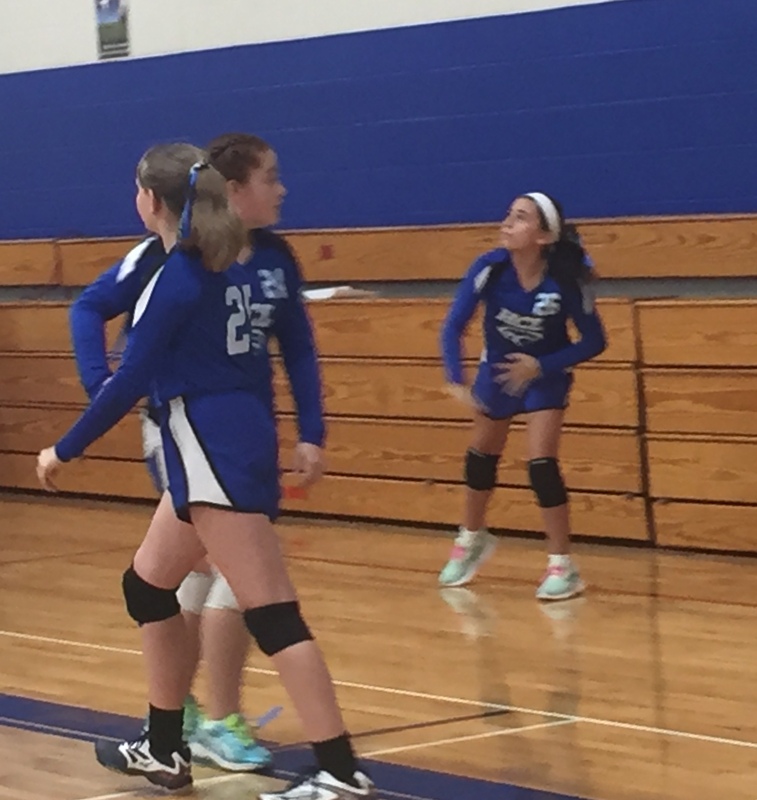 In the second match against St. Anne the girls fought hard and played well at times but ended up losing the two sets. 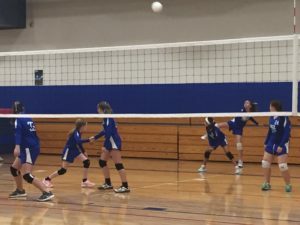 Both teams will begin tournament play next week. 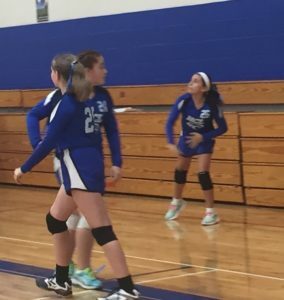 I will post the schedules as soon as they become available.